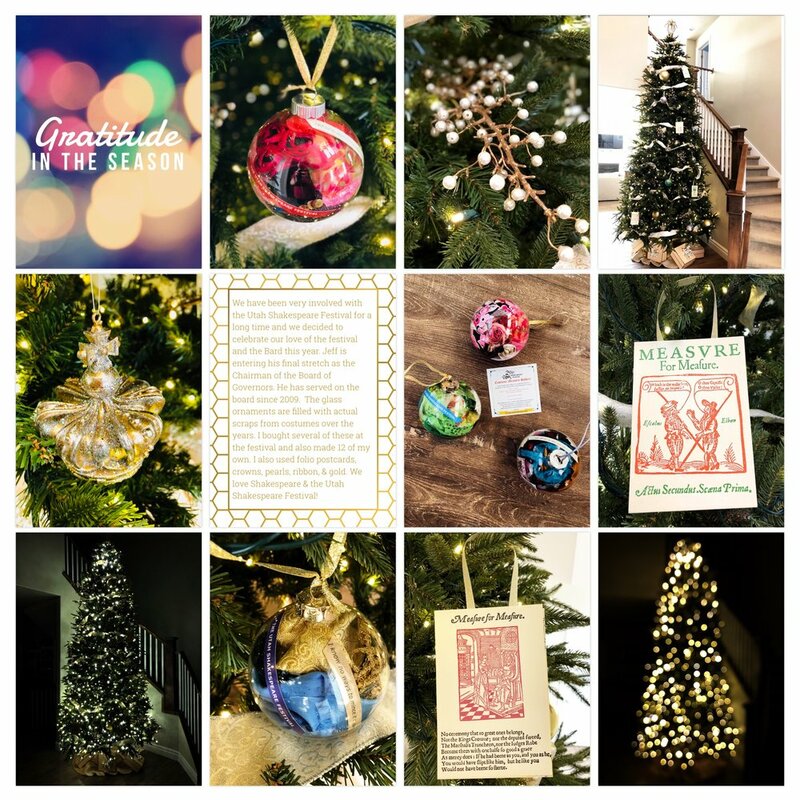 I'm going back in time to write this post after I realized that I never shared my 2017 Christmas tree here on my blog. My regular followers will know that this is a yearly tradition that I started back in 2013. We have been very involved with the Utah Shakespeare Festival for a long time and we decided to celebrate our love of the festival and the Bard this year. The glass ornaments are filled with actual scraps from costumes over the years. I bought several of these at the festival and also made 12 of my own. I also hung up folio postcards that we have collected over many years. The rest of the tree is filled with gold balls, pearls, ribbon, and crowns. 🎭 This was a fun project. Page created in Project Life app with journaling card from Golden Theme pack. The gratitude card was created in Over.